My first magatama was a jade bead purchased at Takachiho Jinja. Although magatama are made of various stones, I had a sense that jade is the most appropriate stone. Recently while conversing with a guji-san at a jinja he said that the only source of jade in Japan is Itoigawa in Niigata-ken. This was in connection with how people of the past avoided battle by negotiating and exchanging gifts such as jewelry. Here is some information which I have gathered about hisui jade and magatama beads. It turns out that jade is found in tectonic regions, and there are many stories about sacred sites in Japan being located on the Median Tectonic Line. Magatama have long held deep spiritual meaning. The curved shape represents growth of a fetus, movement of the universe, the human soul. Magatama are comma-shaped beads which were made during the late Jomon period through the Kofun period, 1000 BCE to 600 CE. They were made of various stones and used as pendants and necklaces. By the end of the Kofun period they were mostly made of jade and used for ceremonial and religious purposes. They still possess a high symbolic value. Jade is produced by crustal movement, formed when a subducting plate is brought up to the surface by tectonic movements. An archaeological site from about 2,600 BCE has revealed that jade was processed in Itoigawa. Almost all of the jade artifacts of the Jomon culture were produced in Itoigawa, and not only distributed across the country but even to the Korean Peninsula. This makes this the oldest jade culture in the world. [http://www.globalgeopark.org/aboutGGN/list/Japan/6443.htm, http://www.geo-itoigawa.com/eng/geosite/geosite9/index.html ]. The large map of the continental plates is from http://pubs.usgs.gov/gip/dynamic/slabs.html. The archipelago of Japan can be dimly seen on the upper left, where the (green) Eurasian plate meets the (brown) North American tectonic plate. Also seen bordering the (yellow) Pacific plate is the infamous Ring of Fire of volcanic activity. The Median Tectonic Line of Japan is where the Eurasian and North American tectonic plates meet. [Ref. 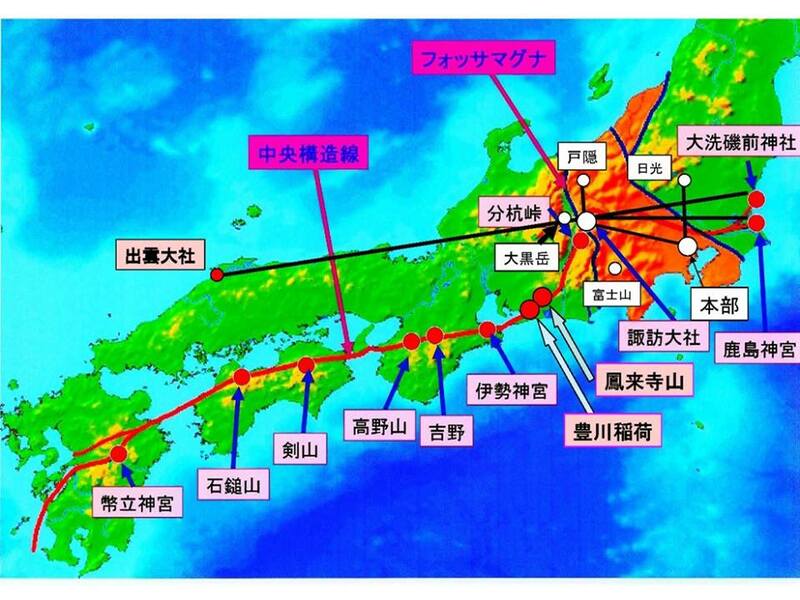 https://en.wikipedia.org/wiki/Japan_Median_Tectonic_Line ] The second map showing the Median Tectonic Line (red line) is from http://www.tohyamago.com/rekisi/chuoukouzousen_suwa/ . In this map, the Eurasian plate is pink and the North American plate is green. The Fossa Magna (shown in blue) is a zone of deformation and low topography. Itoigawa is situated on the Japan Sea coast of Hokuriku Northlands. It is directly on the Itoigawa-Shizuoka portion of the Median Tectonic Line at the boundary where the Eurasian plate meets the Fossa Magna. The geology of the ground on either side of the Median Tectonic Line differs greatly since they were created at different geological times. In some places the respective magnetic fields may cancel out, leaving a zero magnetic field at the interface. Further research is necessary in order to understand the relationship between tectonic lines and sacred sites. 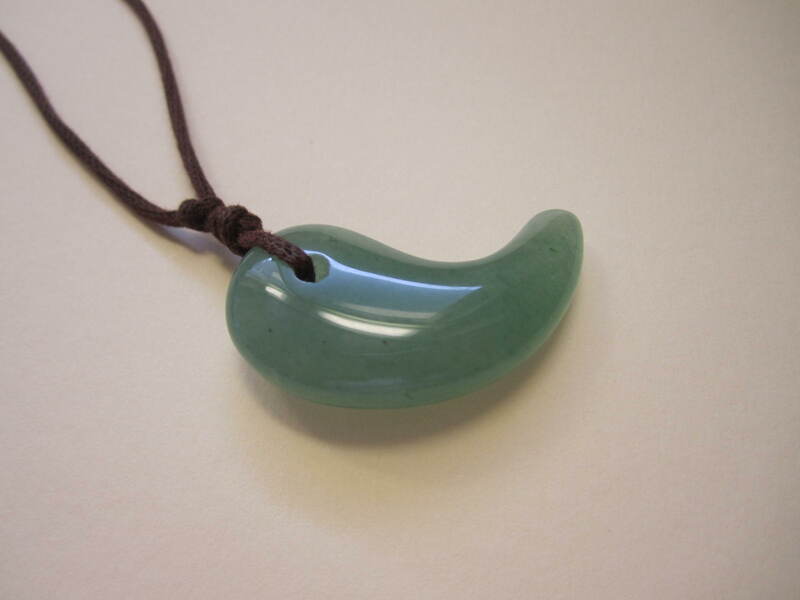 Still, isn’t it fitting that the hisui jadeite in magatama comes from a region associated with sanctuaries and sacred sites? KANAZAWA–Stuck between a rock and a hard place, voters chose jade as Japan’s “national stone” over quartz. The selection was made here on Sept. 24  during the annual meeting of the Japan Association of Mineralogical Sciences. … because jade culture in Japan is the oldest in the world, having its roots about 7,000 years ago. This entry was posted in Jinja, Jomon, Maps, Sacred sites and tagged alignments, magatama, sacred sites, tectonics on 2015/07/30 by Okunomichi. In another post, we discussed some of the alignments of Hakokurayama with the winter and summer solstice rising and setting sun. https://okunomichi.wordpress.com/2013/08/07/the-pyramids-of-suzuki-akira/. From Sendai station by car, it took only 30 minutes to get to the Rikuzen-Shirasawa train station which we had read about. We started shooting pictures of the mountains that we could see from there, but we weren’t sure which was it. We guessed it would be the mountain to our right. We started driving around that mountain counter-clockwise past the school, and we knew we were close. We parked at the water pumping station. We walked around two sides of the mountain. There are a creek going around the mountain and several ponds. The pond in the photo below is very lovely. No doubt there are springs here. If it is a square pyramid as this contour map indicates, … Wow! Note the flat top. There was a hatake and plants were growing well – pyramid energy! That there is so much water must be significant – it may be a water source. The station must be pumping water to Sendai-shi. This entry was posted in Ancient civilization, Mountains, pyramids and tagged Hakokurayama on 2015/07/27 by Okunomichi.